MANITOWOC, WI (OnFocus) On Tuesday, Manitowoc Police department issued a press release on their social media page. In the statement police are asking for the public for help solving a double homicide that took place on Sunday in the City of Manitowoc. On Sunday, September 9th, 2018 at about 10:30 am, Officers and Detectives from the Manitowoc Police Department responded to 3709 Dale St. in the City of Manitowoc for a report of two individuals who were deceased. 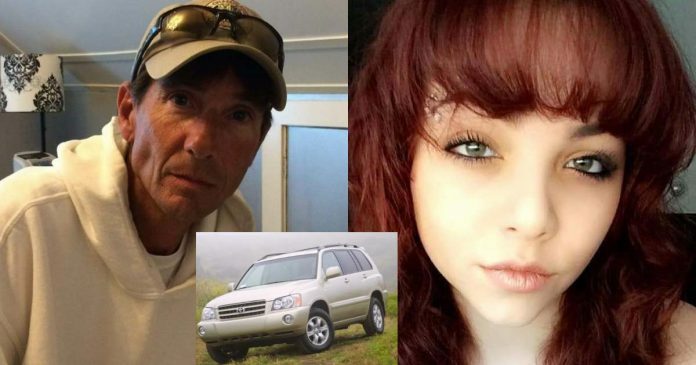 During the course of investigation, it was determined that two individuals, 51 year old Richard Miller, and his 19 year old daughter Jocelyn Miller, who resided at the residence, died from gunshot wounds. The Manitowoc Police Department has been actively investigating this incident. The investigation has developed several leads and at this time,we are asking the public for their help. We seek to identify a male subject seen in the area the night of the homicides. Attached is a video of this person of interest. We are also looking to identify a vehicle that was driving in the area the night of the homicides. The vehicle is described as an early 2000’s model lighter colored Toyota Highlander possibly tan or gold in color (see attached stock photo). ***If anyone has any information about this man, vehicle, or anything else they believe could assist in the investigation, please call law enforcement at (920) 686-6551. Those who wish to remain anonymous can call crime stoppers at (920) 683-4466. A cash reward of up to $2,000 may be offered for information that helps solve the case. The investigation into these deaths is an ongoing process and we will notify the media if we are able to do a live news conference at a later date.